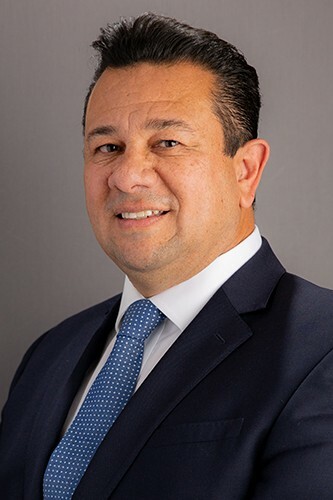 Jorge F. Ramirez received his Bachelor’s of Arts degree in Political Science from California State University Long Beach in 1996, where he was recognized as a member of the Pi Sigma Alpha National Political Science Honor Society. Mr. Ramirez received his Juris Doctor degree from Whittier Law School in 2000, where he was recipient of the CALI Award of Excellence. Mr. Ramirez also studied in Mexico at the University of Guanajuato School of Law as a part of a Summer Law Institute program co-sponsored by New Mexico School of Law and Texas Tech School of Law, where he studied International Arbitration, NAFTA, and International Business Law. Mr. Ramirez is admitted to the State Bar of California, United States District Court for the Central District of California and United States Court of Appeals for the Ninth Circuit. He has been practicing law since 2001 and his primary area of practice is personal injury representing tort victims arising from motor vehicle accidents, product liability, premises liability, medical malpractice, police misconduct, civil rights and wrongful death. He also has a limited practice in business matters and related litigation. He has taken several cases to trial. He has recovered millions of dollars for his clients. Mr. Ramirez is fluent in Spanish and has volunteered as a guest speaker in English and Spanish at a community-based family resource center known as Families of Costa Mesa, where he lectured and provided self-help materials to indigent and homeless families on issues concerning landlord-tenant law, immigration law, employment law, family law and domestic violence. Mr. Ramirez is or has been a member of the Orange County Trial Lawyers Association, Orange County Bar Association, and Orange County Hispanic Bar Association. Mr. Ramirez enjoys spending time with his family, coaching youth sports, playing golf and being involved in the professional boxing scene. He has represented professional fighters. To set up a consultation with Newport Beach personal injury attorney, Jorge F. Ramirez, contact the offices of Russell & Lazarus APC at (949) 851-0222.